Growing up, my Dad worked a lot. Subsequently, dinners with my brothers and sister typically meant two things: Mom was making them and they weren’t grilled. The weekends, however, were a different story. 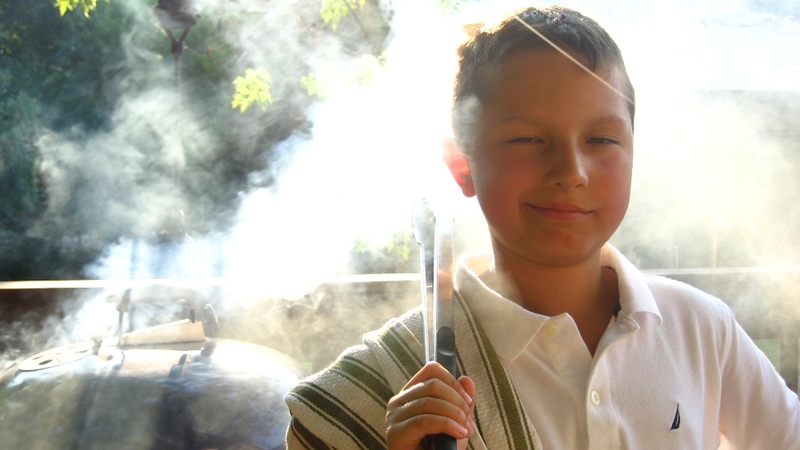 My childhood is filled with memories from warm summer evenings all woven together by the sight of wafting smoke and the mouthwatering scent of grilled meat. No matter how busy Dad stayed, it was readily apparent to me, he loved to make time to grill. His love of cooking and grilling rubbed off on me early. As a young Boy Scout, I was the guy planning the three course meal over the campfire. Once on a camping trip, I didn’t let a lack of cookware stop me from grilling my hamburger. I used a rock. I have this passion and let’s face it, my appetite, thanks to my Dad. While Mom & Dad love to make great food, grilling in those early days were the backyard essentials: burgers, steaks, and chicken. In later years, retirement, time, and continued good health opened up a new grilling chapter. Gone were the staples. Front and center were new culinary adventures he would lovingly talk about, and if we are lucky enough, invited over to share. I learned to cook at a young age. I firmly believe it’s an important life skill. Grilling? Well it just makes cooking more enjoyable. Needless to say, these are skills I am passing down to my son. Whether we are picking a recipe, mixing a rub, or flipping a steak, I involve him as much as I can. About 5 years ago, we even filmed a short video showcasing one of his favorite burgers. Apparently this kind of thing is in our genes. 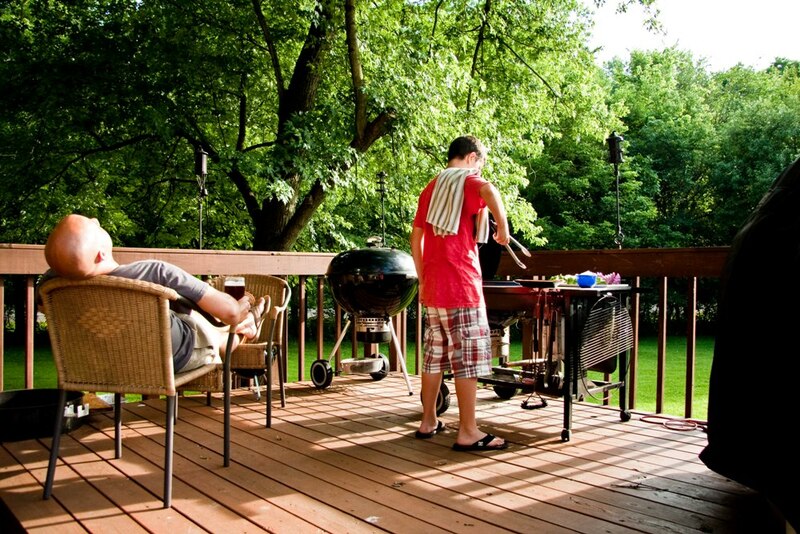 Our grills have always been a gathering place for family and friends. I’m thankful my Dad passed down his passion for grilling to me. I, in turn, am passing it down to yet another generation, my son’s. One day, perhaps he will have the same opportunity.